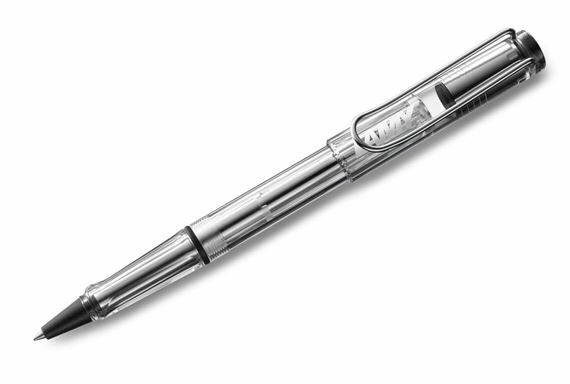 Order your Lamy Vista Rollerball Pen today from FahrneysPens.com. Fine Pens, Refills & Luxurious Gifts – great prices & fast shipping. From the first glance you will notice that the Lamy Vista Rollerball Pen brings a new design to an old favorite. Inspired by the original Safari series, the Lamy Vista takes on the same great shape with a few aesthetically pleasing differences. The Lamy Vista rollerball pen is made with tough, clear plastic with a contoured shape for comfortable, easy handling. The chromium-plated spring-action clip ensures a secure hold while storing your Lamy Vista in your organizer, pocket or purse. With its capped design, the Lamy Vista is convenient for daily use. Great for young and old alike!